Life with trauma. No, I’m not going to say life after trauma. 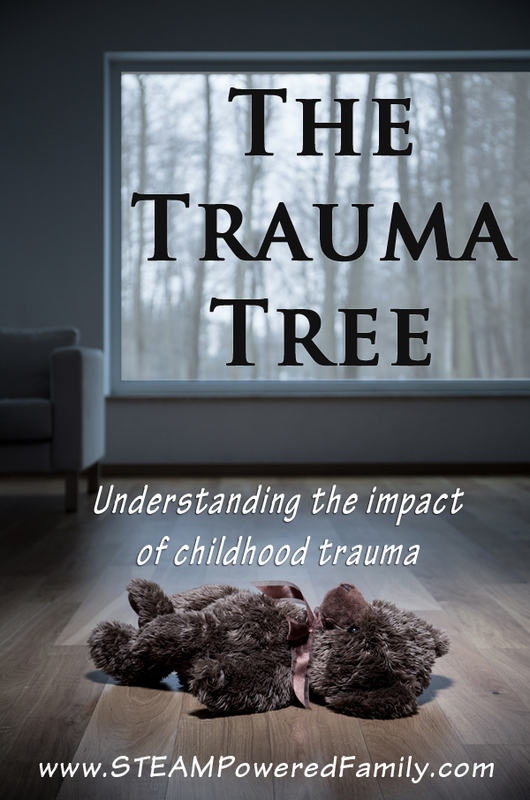 See the thing with trauma is that, for many people, especially children, it never leaves. It becomes this shadow that follows you throughout your days. Sometimes it fades, barely there on the outskirts of your periphery vision, other times it hangs over you casting the thickest darkness you could possibly imagine. 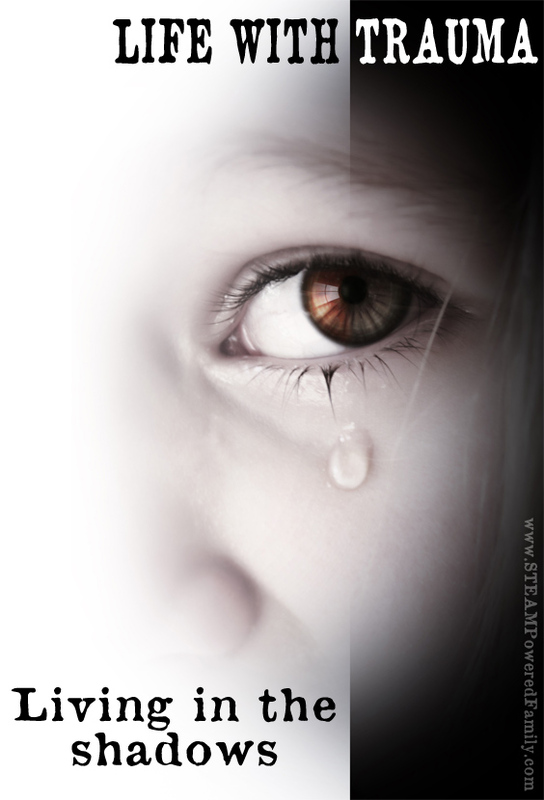 Life with trauma is like riding a roller-coaster with a blindfold on. If you ride it long enough, and have the right people beside you, you start to know what is coming and when it is coming. You can prepare yourself, be ready before the crazy loops hit. But without that help and in those early days? It’s hard. So hard. It was 10:30 at night. Our day had been incredibly long and I was exhausted. I looked into my son’s glassy, dilated eyes, and tried desperately to come up with an answer for him. “Please, I neeeeeeeeeeeed a kiss from Nanny!” He was in full blown hysterics. Snot and tears coated his face to a glossy finish. He had spent the afternoon and most of the evening with his Nanny. He had kissed her good-bye. There was no reason for this meltdown. But that’s the thing with trauma, it hits hard and it loves to twist things up, feeding on confusion, making it hard to see it for what it is. Only once you start to really dig can you see the connections. We have been in a state of flux for a number of months. We are launching new businesses and this day was our first day at the market and my parents had agreed to watch the boys while we worked. Unfortunately, this is also trauma anniversary time for my youngest son. So any change hits him hard as his system is reliving his traumas, balancing on a precarious edge between past and present. This night he was losing it. He still struggles to tell us in words when the shadow of trauma is over him. I’m not sure if he will ever have enough awareness to truly recognize the parasitic effect of the trauma without the help of an outside, trusted source. Trauma is tricky like that. Hiding and camouflaging itself as any number of disruptive behaviours and reactions. So he couldn’t tell me what was going on, but after 7 years I’ve come to recognize the trauma. I needed an answer to help bring my son out of his hysterics. I knew my mom would have been long in bed by this point, so I finally came up with answer. I took his hands in mine, wiped his face with a tissue and leaned in close. “Let’s do it again!” He giggled as he leaned in and kissed me again and again. The next morning, as I staggered around making coffee he came up to me. I leaned in and gave him a kiss. 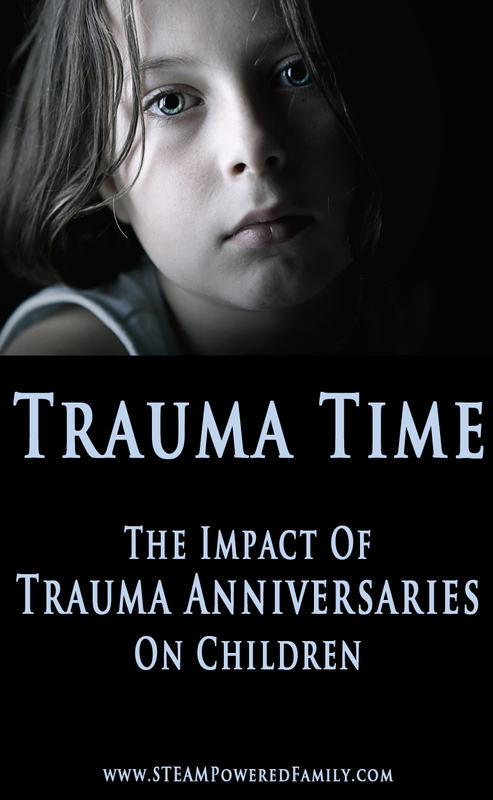 Right now it is a trauma anniversary for my son. It was seven years ago that we raced around the world to Ethiopia to bring my son home and rescue him from our agency that had gone bankrupt. He suffered greatly at this time seven years ago. His body remembers, even if he doesn’t have mental memories of the time. 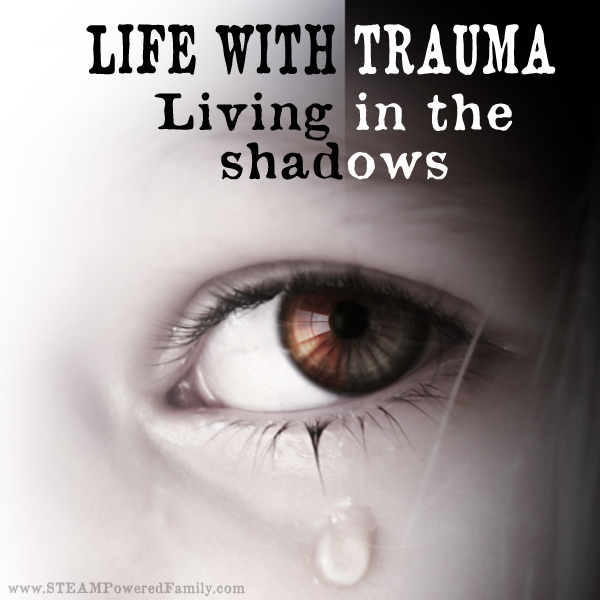 Our daily life is constantly affected by the shadow of trauma. Life with trauma is not easy. 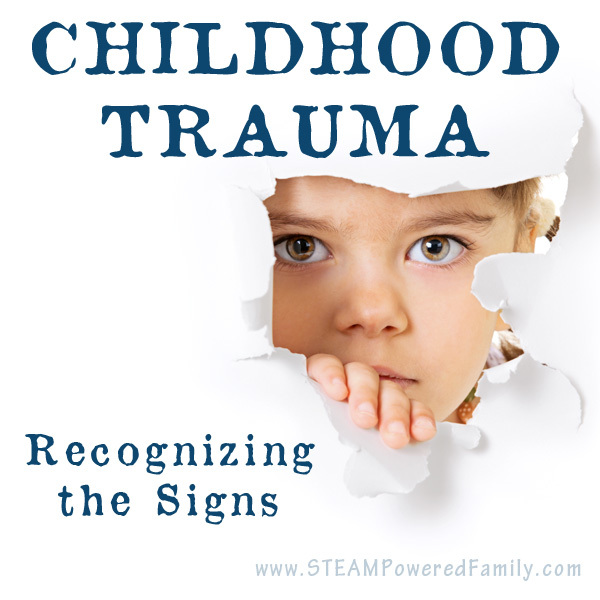 Over time we are learning the patterns of trauma and the way they affect our son. It’s a long road, but with the help of some amazing therapists and a lot of love and dedication, we are learning how to live a happy and blessed life with trauma. If you or someone you love is struggling with the daily shadow of trauma, I highly recommend you seek out a qualified trauma therapist. In our lives, we found animal assisted therapy combine with CBT was one of the most powerful healing techniques. Life with trauma is hard, but there are things you can do to make life with the shadow easier. Connect with those who understand and can help you see the trauma shadow when you can’t see it. As a parent of a child with trauma history, I am this person for my son. 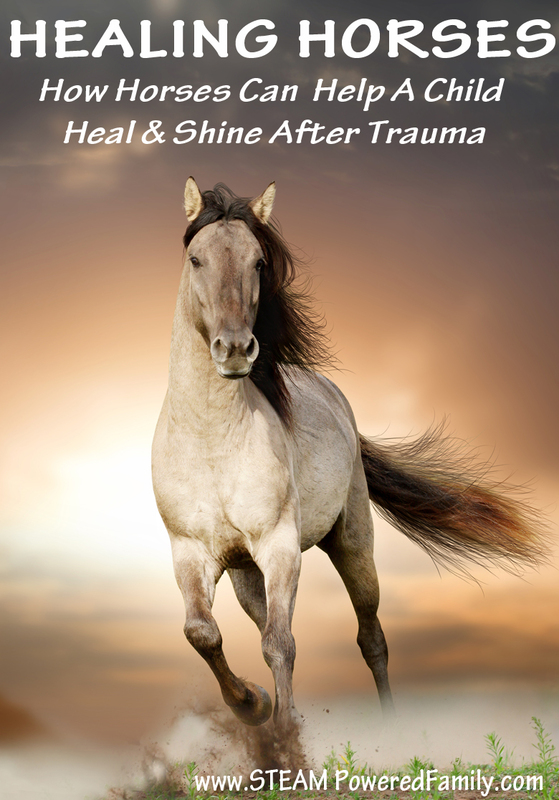 With time and practice we are developing ways to help all of us learn to live with trauma. This is beautiful and all so true. I love the imagery of a shadow. And oh, those anniversaries… We’re experiencing one right now. I’m so glad you were able to turn a very difficult moment into something so precious. And as always, when kiddos are able to express themselves, it never ceases to amaze me at how deep their thoughts are. Thank you for sharing!